Yep! You read that right!! We are expecting our first child with an estimated due date of June 4, 2012! We are so excited to be on this journey and I’m going to share some things with you right here, so be sure to check back often for updates! 8/29/11 – First day of last period. 9/22/11 – First pregnancy test taken … POSITIVE! 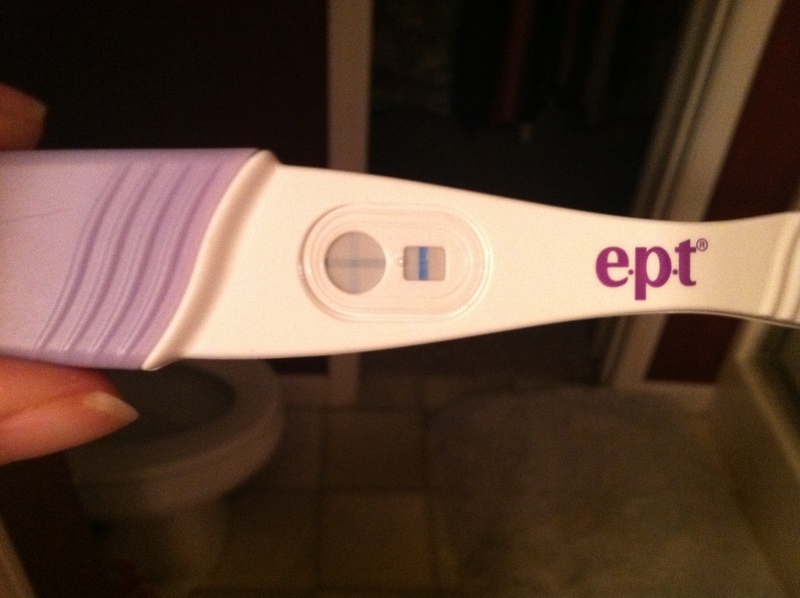 9/26/11 – Second pregnancy test taken (because I just couldn’t believe it!) … still positive! Called OB-GYN to schedule appointment. 10/8/11 – Nausea sets in … with a vengeance!! Whoever named it “morning sickness” was stupid. “Morning/Noon/Night sickness” is more accurate for me. 10/12/11 – Told our parents, both paternal grandmothers and Nathan’s brother … because we were too stoked to wait any longer! 10/17/11 – 7 weeks – First doctor appointment. Everything looked good, but the baby was only measuring 6w4d. They went ahead with a due date aligned with the date of my last period, but this is subject to change. So although I am going ahead saying that I am 7 weeks, this may be tweaked in the future. 10/28/11 – Told the rest of my closest family (maternal grandparents and aunt and uncle). We have yet to tell the rest of Nathan’s closest family, we are planning to do this around Thanksgiving. 11/3/11 – I am ashamed to say that I slipped today. I had caffeine for the first time since I found out I was pregnant. I had one regular coca-cola. It was so delicious, but I feel awful. I just couldn’t help myself. I know in the grand scheme of things that I could have done a lot worse, but I’m trying to be as healthy as I possibly can because I am overweight and don’t want any additional complications. 12/12/11 – 15 weeks – Third doctor appointment. Hello baby BOY!!! So excited! 1/9/12 – 19 weeks – Fourth doctor appointment and anatomy scan. Please see here for my post on the anatomy scan. 1/16/12 – 20 weeks – HELLO HALFWAY POINT!!!! 2/6/12 – 23 weeks – Fifth doctor appointment. Ughhh, I gained 8 (EIGHT!) pounds in the last 4 (FOUR!) weeks. I’m right on track for where I should be, but I still wasn’t expecting all that weight in 4 short weeks…. 3/5/12 – 27 weeks – Sixth doctor appointment. Glucose test. Rh Negative shot. Ultrasound to check spot on heart. 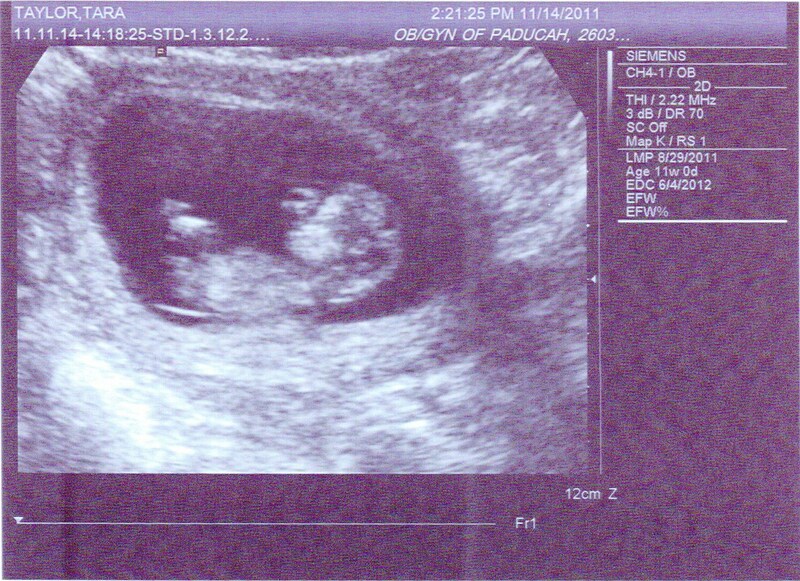 3/19/12 – 29 weeks – Seventh doctor appointment (I’m now going every 2 weeks) PLUS 4-D ultrasound! YAY!! 4/2/12 – 31 weeks – Eighth doctor appointment. Doctor ended up failing me on the glucose test after all. Hello gestational diabetes. 4/16/12 – 33 weeks – Ninth doctor appointment. Everything still looks good. Nothing out of the ordinary. My sugar, while a little high at times, is well in line with my doctor’s approval. It’s all in my diet – and I don’t want to eat what I need to eat to keep it down! Ugh. 4/30/12 – 35 weeks – Tenth doctor’s appointment. After this appointment, I will be going weekly – home stretch! WOO! 5/13/12 – Mother’s Day – I’m jealous that G. will be here for Father’s Day but not Mother’s Day. Yay for the second trimester–hope it’s a good one for you (was my favorite). And congrats on the boy! So exciting.